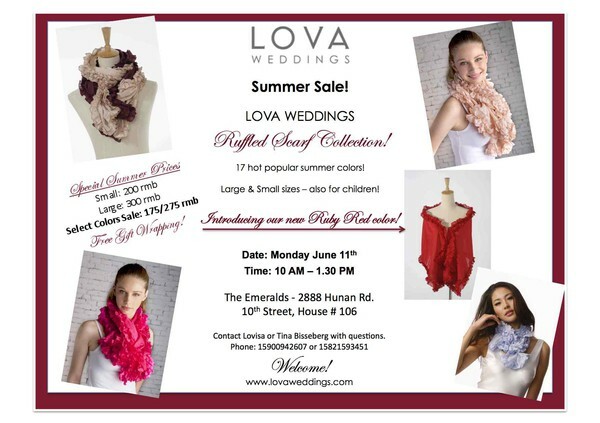 Shanghai Sale of LOVA Ruffled Scarves! This coming Monday June 11th we will have a Grand Sale at the Emeralds in Pudong. We will introduce our new color Ruby Red to all you hungry ruffled scarf friends out there! We look forward to seeing you next Monday!